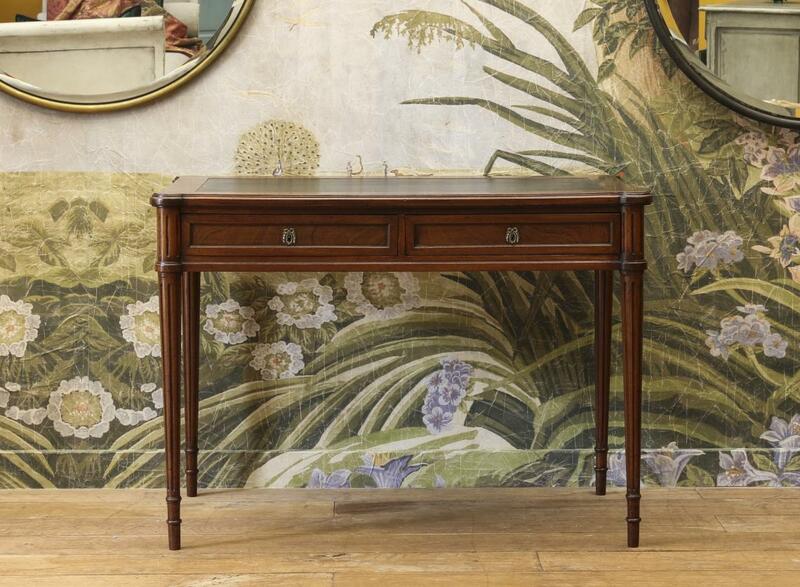 A very fine quality bureau plat of small pleasing proportions. 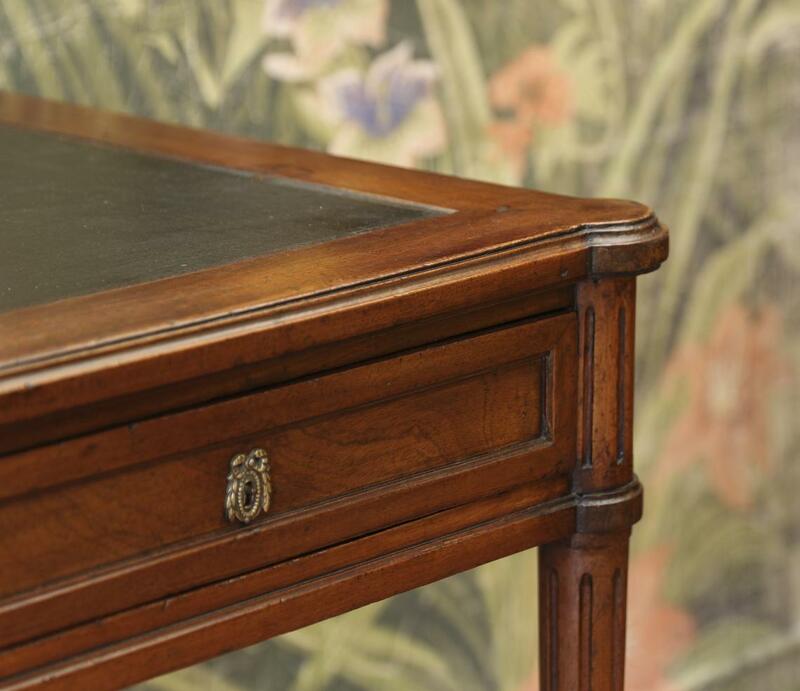 Each of the bureau plat's drawers is inlaid with quarter-round brass mouldings. 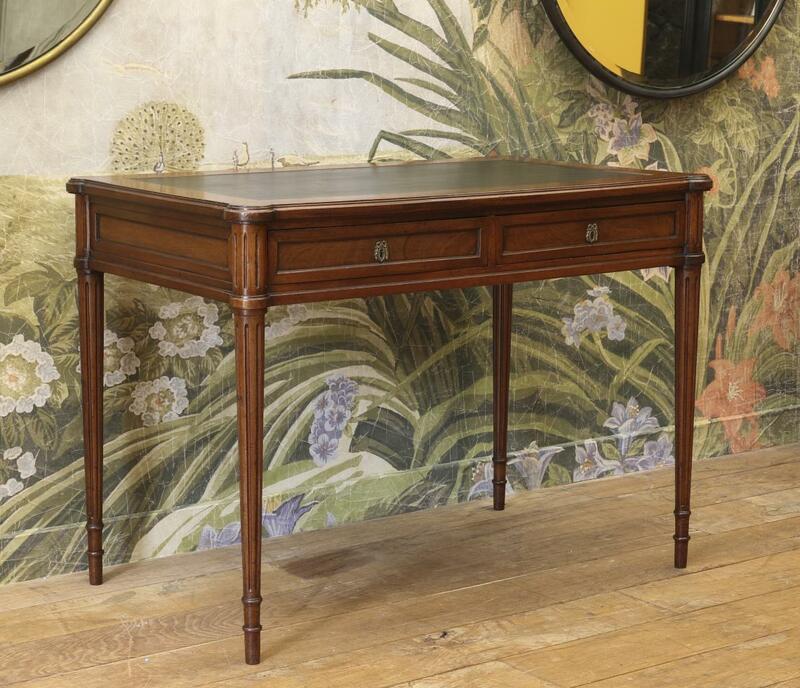 Its legs are classic Louis XVI-style turned and fluted legs. 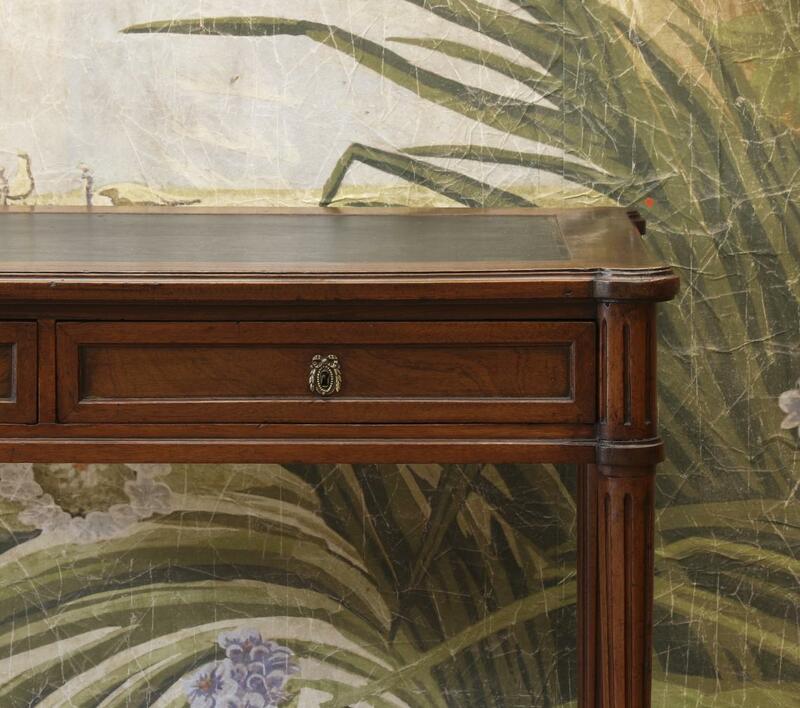 If you are interested in this piece or would like more details please call us on +64 9 529 1660 or email info@js.co.nz quoting #110-59.